Claire Humphrey's first novel, Spells of Blood and Kin, won the 2017 Sunburst Award. Her short fiction has appeared in Strange Horizons, Beneath Ceaseless Skies, Apex, Crossed Genres, Fantasy Magazine, and Podcastle. 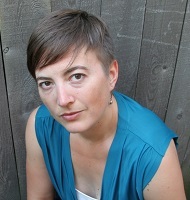 Her short story ''Bleaker Collegiate Presents an All-Female Production of Waiting for Godot'' appeared in the Lambda Award-nominated collection Beyond Binary, and her short story "The Witch Of Tarup" was published in the critically acclaimed anthology Long Hidden. She is represented by Connor Goldsmith of Fuse Literary.